Happy New Year to you all! We have had a relaxed few weeks off to recharge the batteries and its now time to get geared up for all the lovely events we have coming up in 2014. Lots of exciting plans for LB this year which I hope to share with you soon. In the meantime, I thought we would have a look back at some of our favourite gents buttonholes of 2013 as its usually all about us girls!. Buttonholes of gypsophila and eucalyptus. Stems are finished with hessian fabric for a natural look. 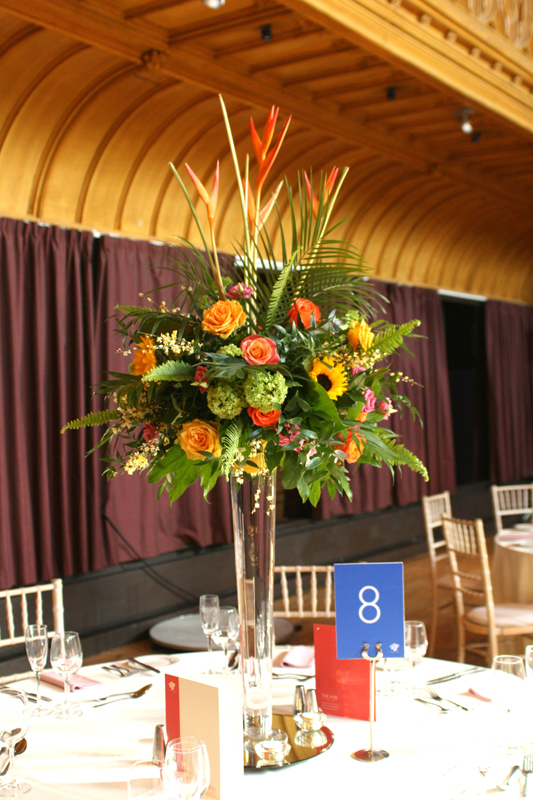 Gyp is set to be one of the top floral choices for 2014. Buttonholes of sweet avalanche roses and gorgeous pink heather which I picked up in the Highlands. The stems have been kept natural and bound with ivory ribbon. Buttonholes of freesia, ornithogalum, astrantia, nigella and thlespi. The stems have been gathered together and tied with raffia for a natural wild look. Buttonholes of lilac Ocean Song roses, senecio, heather, thlespi and ivy leaves. 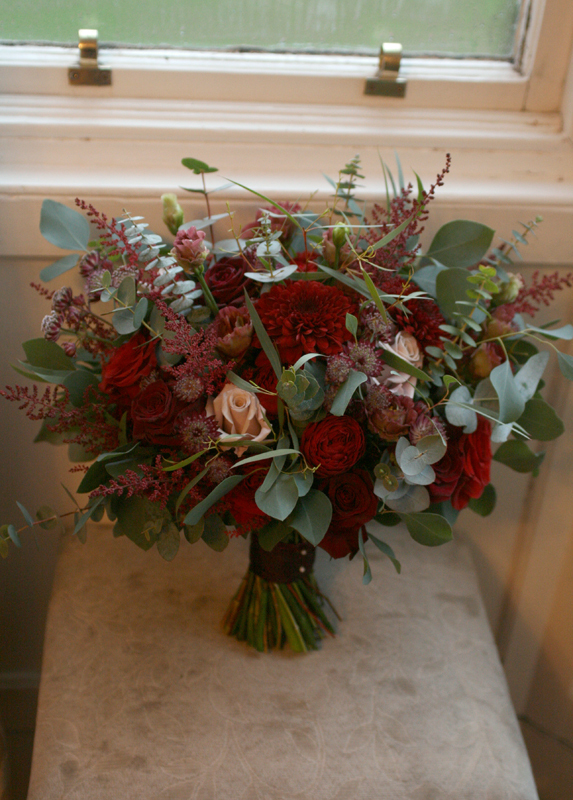 Buttonholes of avalanche roses, thistles, viburnum berries, senecio, grass and ivy leaves. 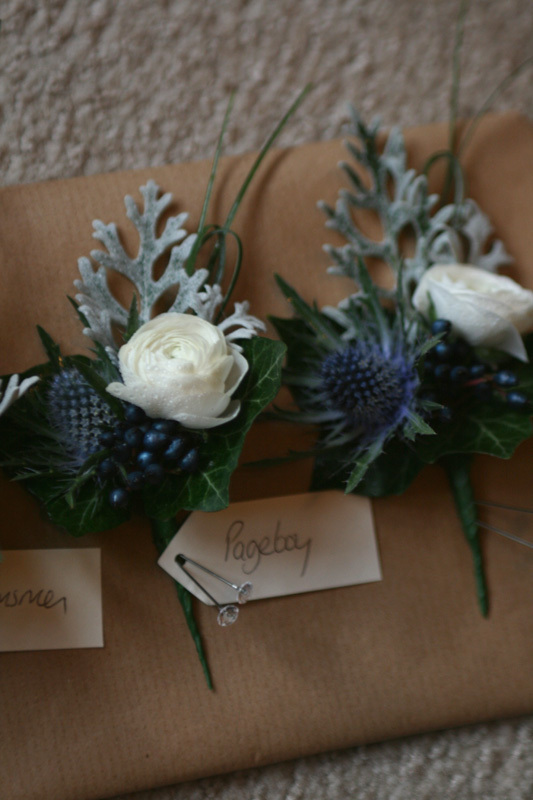 Page boys buttonholes of ranunculus, thistles, viburnum berries, senecio, grass and ivy leaves.